For any Magnolia, WA resident, having your vehicle break down or otherwise become unable to be driven can be very stressful. But not when ABC Towing is here to help with its top-quality emergency tow service. A call to our tow truck company is all it takes to bring our efficient emergency towing crew to the Magnolia resident’s assistance. Our emergency tow service is delivered with well-maintained tow trucks and superior towing equipment. We employ expert emergency towing dispatchers, and thoroughly trained tow truck drivers and technicians. Magnolia vehicle owners who place their trust in our licensed emergency towing company can rest assured that they will be served with the best emergency tow service possible. Car lockout, out-of-power battery, flat tire, lack of gas – reasons that can make a Magnolia resident need our emergency tow service are many and varied. We are equipped to handle any emergency tow service situation and provide any roadside assistance our customers may need. Auto emergencies usually happen at the most unexpected times and in the most inconvenient places. 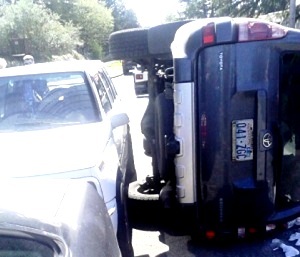 That is why Magnolia residents need an emergency tow service provider that is available to deliver immediate tow truck services whenever and wherever they require. Being a family-owned and managed tow truck company, we understand our customers’ stressful situation and strive to ease it with prompt, efficient and affordable emergency towing. Our 24-hour emergency tow service has rescued countless stranded motorists in Magnolia and we look to continue helping the community with our superior emergency towing services for years to come. 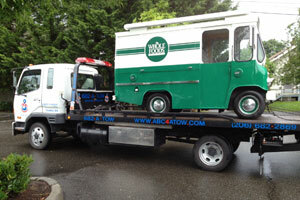 Get in touch with ABC Towing for emergency towing needs in Magnolia. 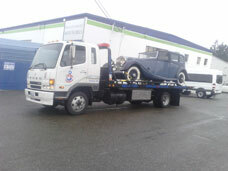 To schedule your tow truck service, call (206) 457-2530.